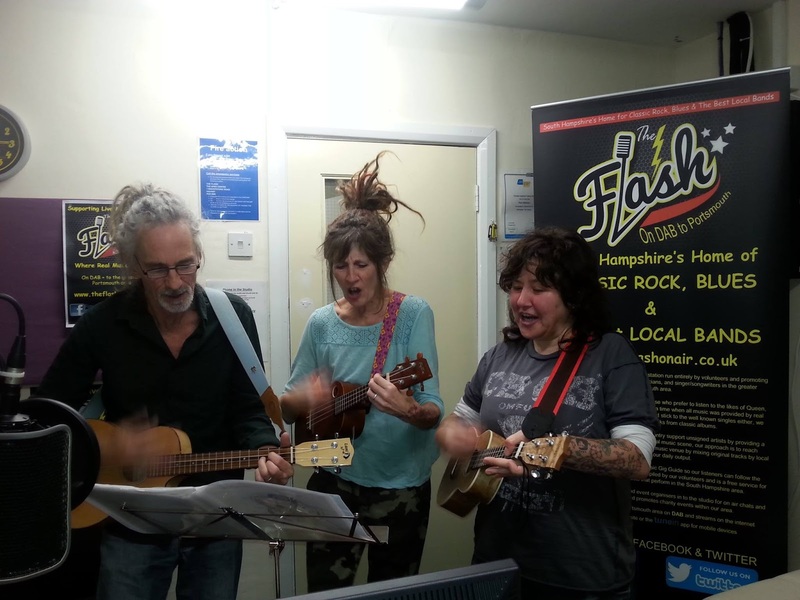 THE DAY THE SPACE RATS VISITED THE FLASH! 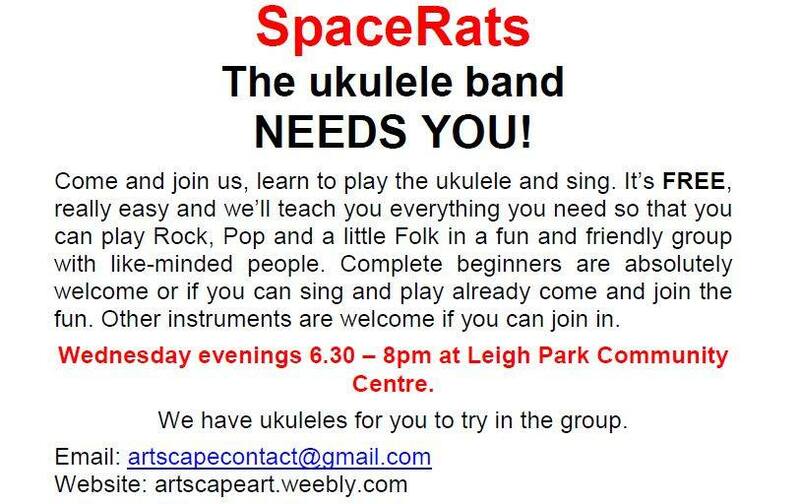 I must say a big thank you to fellow Space Rats Mandie, Phil and Dee for popping in yesterday evening on The Magnificent Jonathan C show to tell us about their weekly Wednesday evening Ukulele Jam at Leigh Park Community and their Artscape charity. They even performed a couple of Ukulele numbers for us. We did have a few problems with our CD player packing up but thankfully the brilliant live music saved the day!